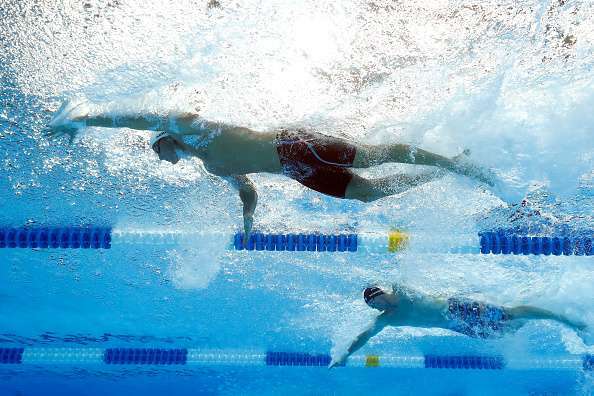 Swimming is one of the only five different sports to have featured in every single edition of the modern Olympics since 1896. Offering the second largest number of events after Athletics, it sees countless records tumble in every competition across the male and female categories of short and long distance racing. The dominant superpower in swimming, the United States of America are miles ahead of the second placed Australians in terms of Olympic golds (USA – 230, Australia – 57). Quite unsurprisingly, a vast majority of the greatest names in the sport are Americans. The most successful Olympian of all time, American swimmer Michael Phelps has dazzled in four different Summer Games and is set to make a comeback in Rio 2016, hoping to earn his final Olympic triumph. 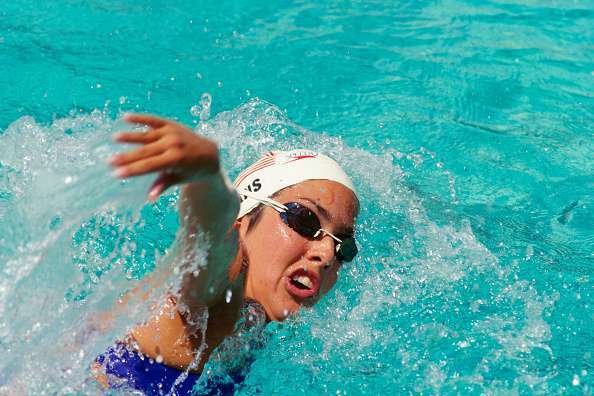 California-born Janet Evans specialised in long distance swimming and had several world records to her name. At the 1988 Seoul Olympics, she set a new best timing in the 400 m freestyle which stood for eighteen years till France’s Laure Manaudou outdid it in 2006. In Seoul, Janet captured gold in the 400 m medley as well as the 800m freestyle, which she defended successfully, four years later in Barcelona, in the process becoming the first woman swimmer to win back-to-back Olympic golds in any event. The striking factor of Janet’s superiority was her relatively short stature – at 5 ft. 5 inches, she took on a number of towering opponents and defeated them in every championship she took part in. The winner of five Olympic medals (4 golds and 1 silver), “Miss Perpetual Motion” was chosen to carry the torch in its last stretch and hand it over to the Legend Muhammad Ali during the opening ceremony at the 1996 Atlanta Games.